Your gift card is simply darling! Santa is so cute! Your gift card holder is adorable!! OMG Miss Katie Your Gift Card Holder is SNOW Adorable!! 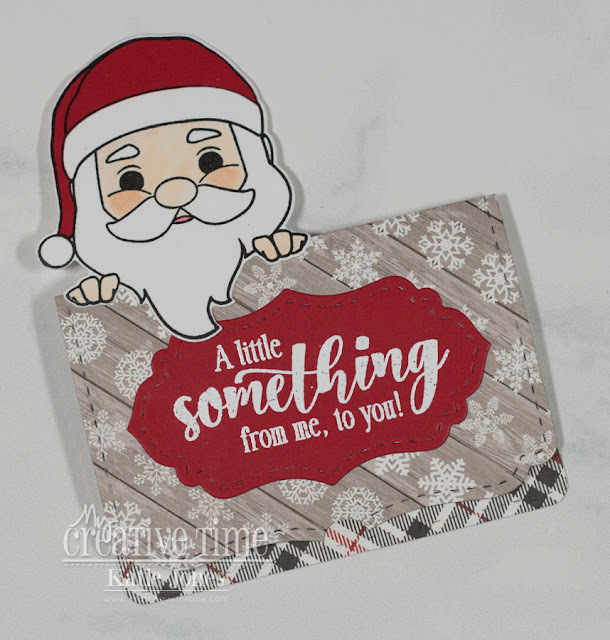 Your Peeking Santa is so cute....loving the papers you chose and the way you did the inside too!! You did a Super Outstanding Creative job Showcasing today's sneaky peek!! So cute. Great choice of papers. I'm loving this gift card holder and the cute Santa, thanks for the inspiration. Great Job! So cute! Love your paper choices!! Christmas spirit soaring in seeing your delightful project today! The Santa is adorable; the gift card, pretty! Plaid...swoon! This is super adorable! I love that Santa is up at the top handing the gift card to the recipient! So clever! Cute paper too!!! Your Santa is adorable and I like how you off set him. The new label is great as well as the new card holder. Wonderful job. 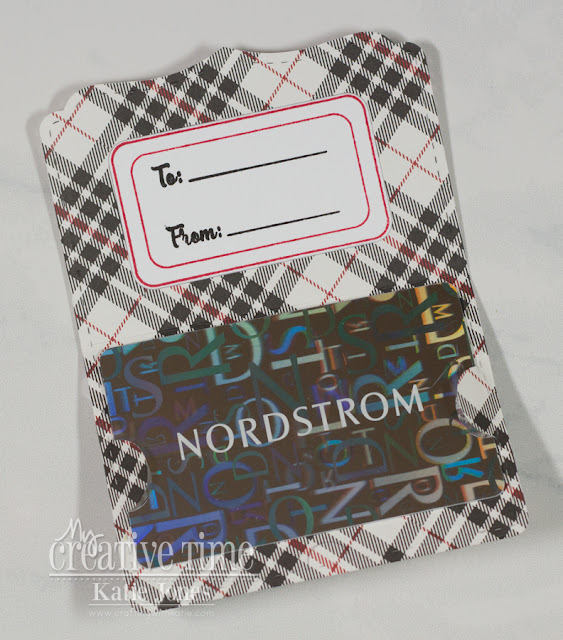 Very cute gift card holder...love the cardstock you used. Cute gift card holder with Santa.